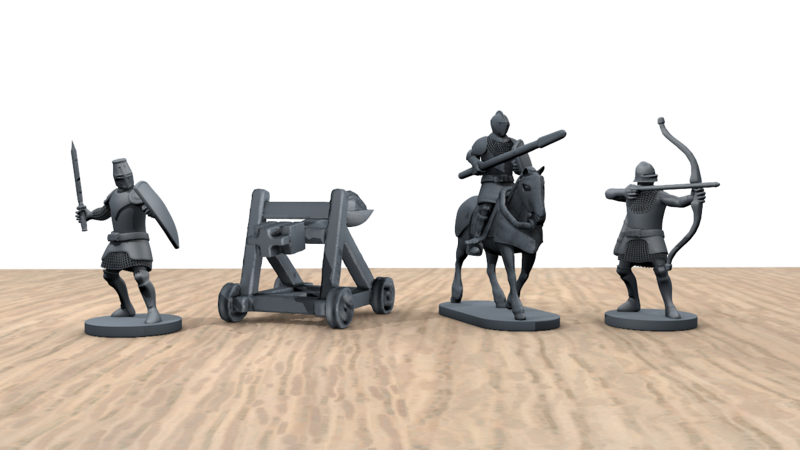 DARKMACE comes with beautifully sculpted pre-assembled miniatures. 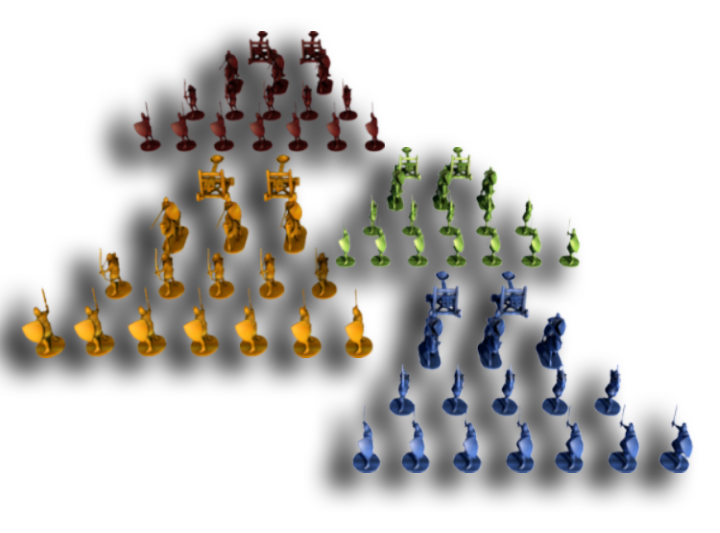 You have 4 type of units in your army each having different moving, attacking and defending abilities. 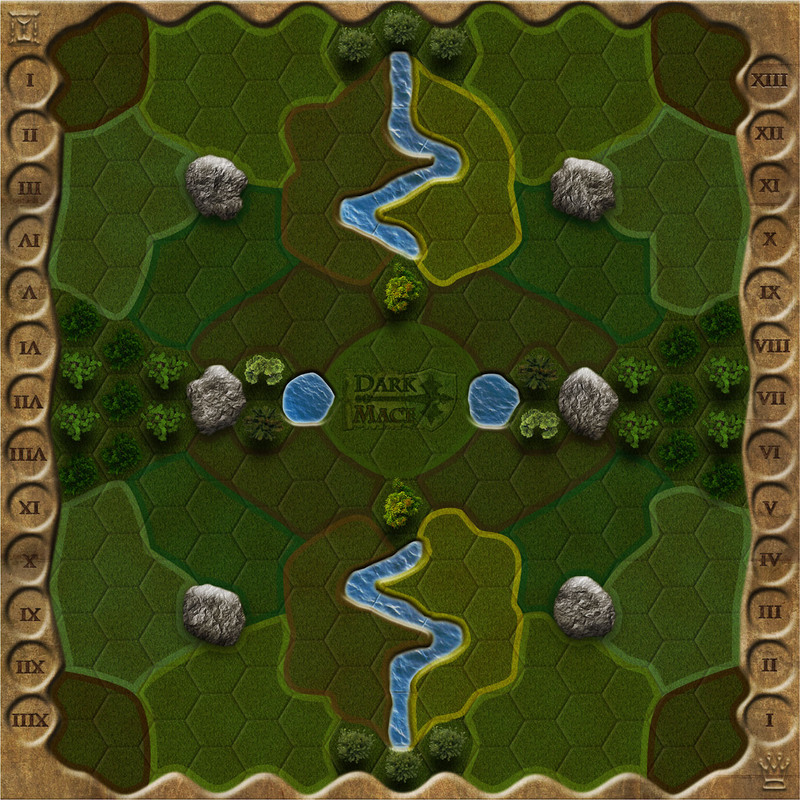 You must position them strategically across the battlefield to best coordinate your attacks and to enlarge your land. 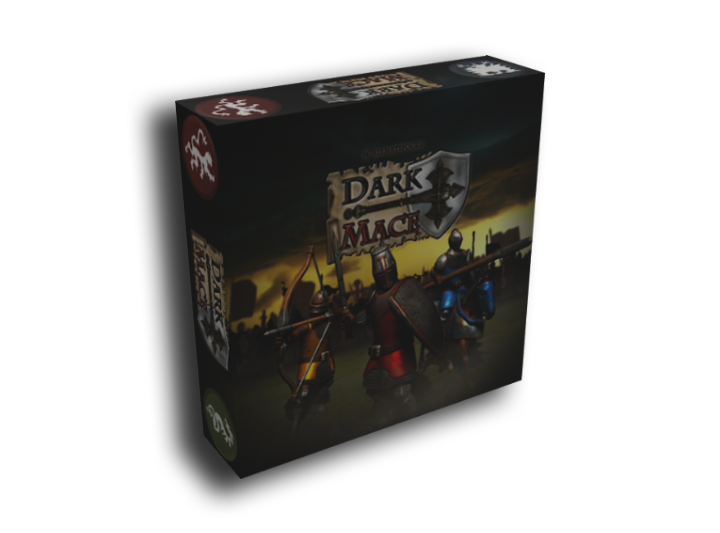 DARKMACE combines miniature gaming with a well-balancedboard which represents the battlefield. 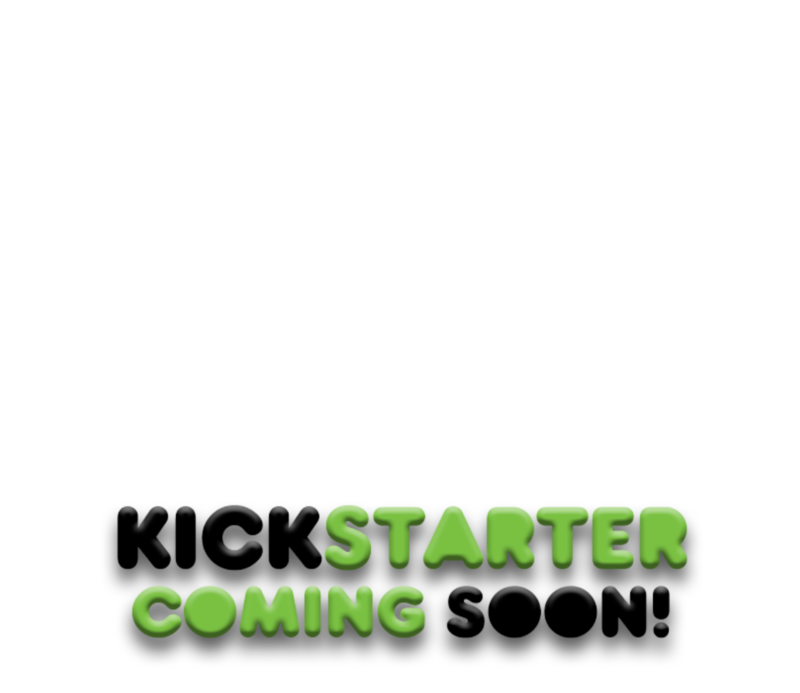 Hex pattern is overlaid subtly on the background artwork, but yet functional. 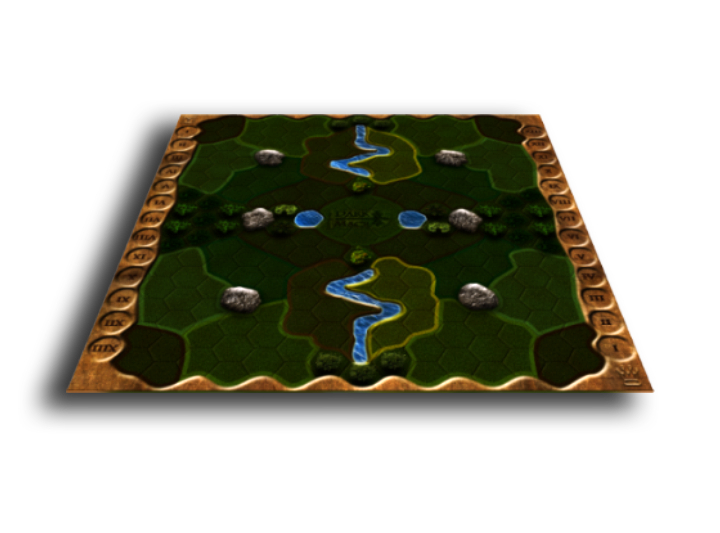 The board contains various terrain types (land, forest, rock and water) that you may use to your advantage and it is divided into provinces to conquer and control. 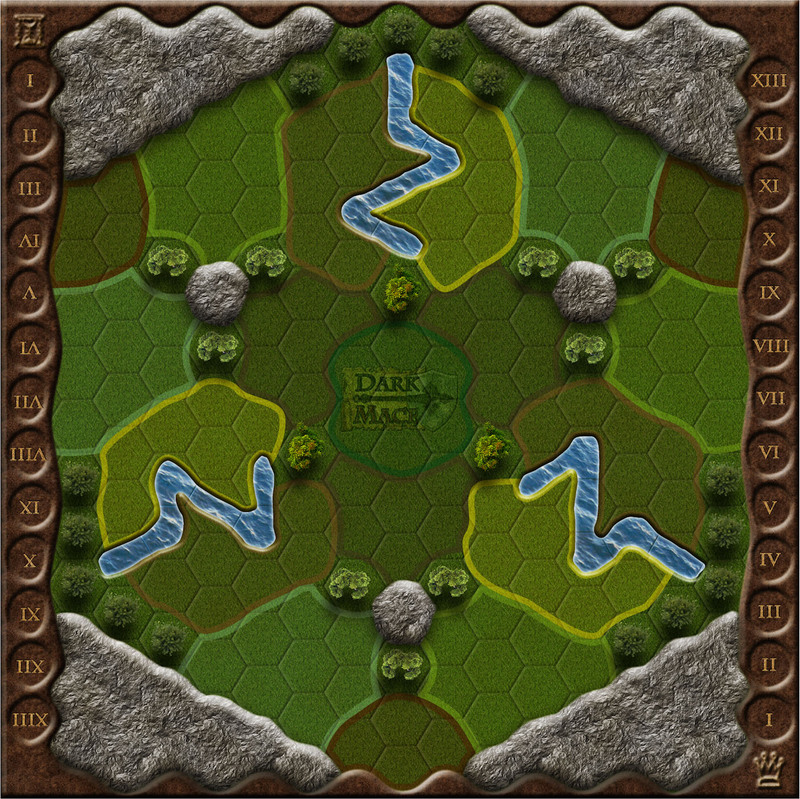 The board is double sided for the three player option. When used, Power Cards give you an immediate and powerful benefit. 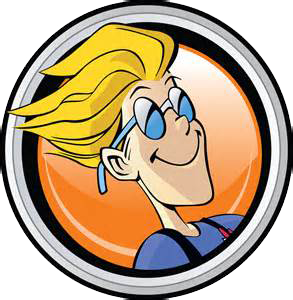 That brings “AHA!” moments to the game and ensures the game is dynamic until the very end. 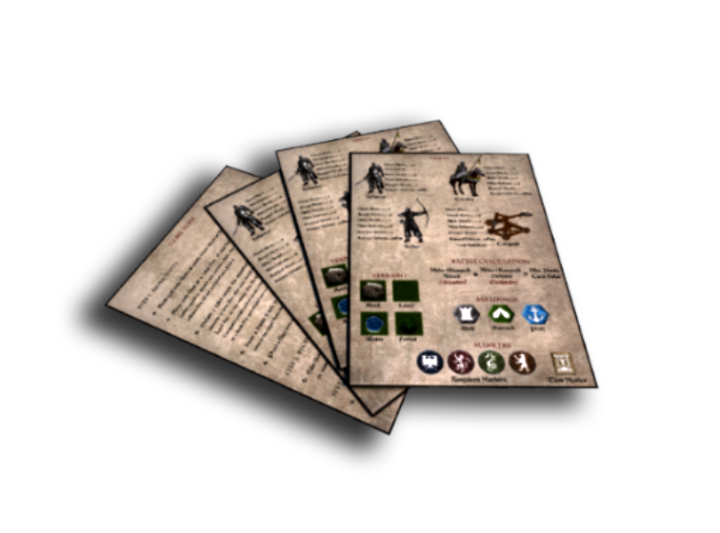 Instead of a twelve-sided dice, Battle Cards are used to resolve battles in DARKMACE. Every player has its own shuffled deck containing numbers from 1 to 12. 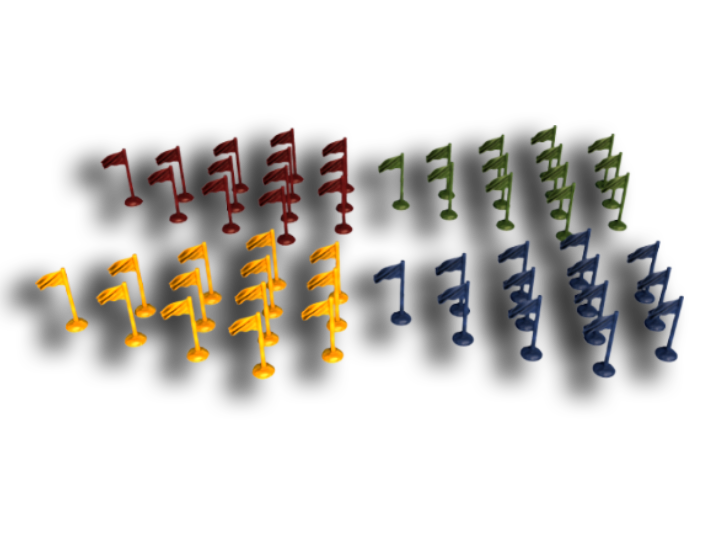 This provides even distribution of chance throughout the game. The spice is the artwork put onto the higher numbered cards. 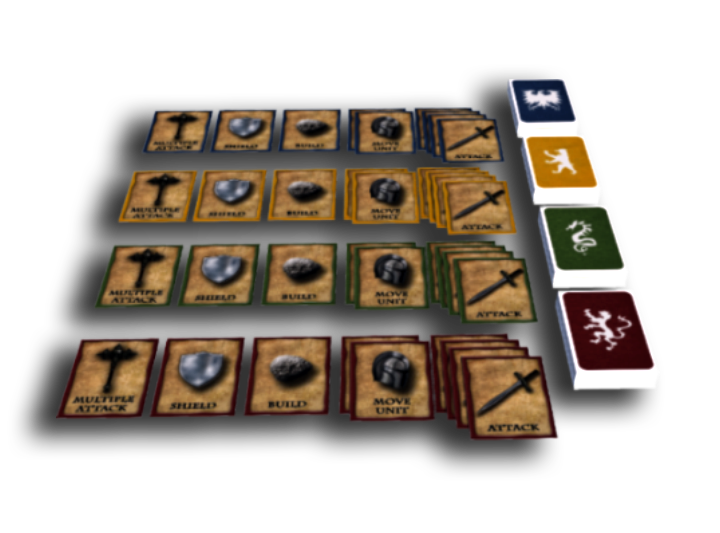 DARKMACE comes with good looking tokens such as walls, barracks, ports, shields, kingdom markers and the time marker. 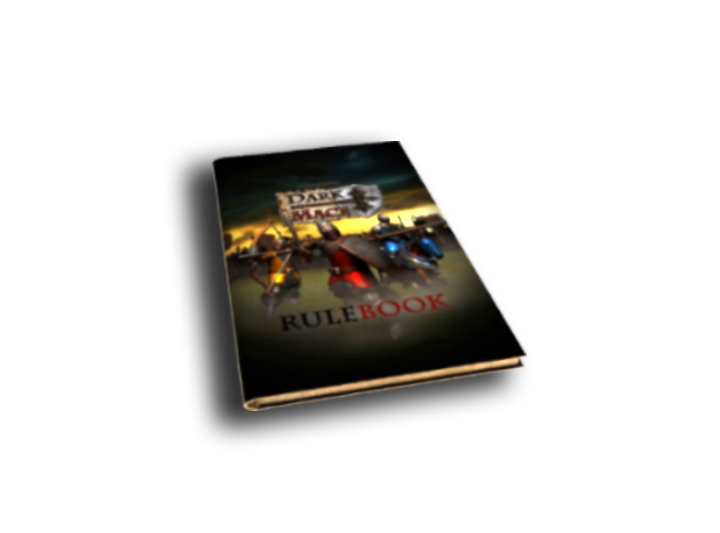 DARKMACE is heavily a combat game, however it also goes over some resource management with the gold coins. 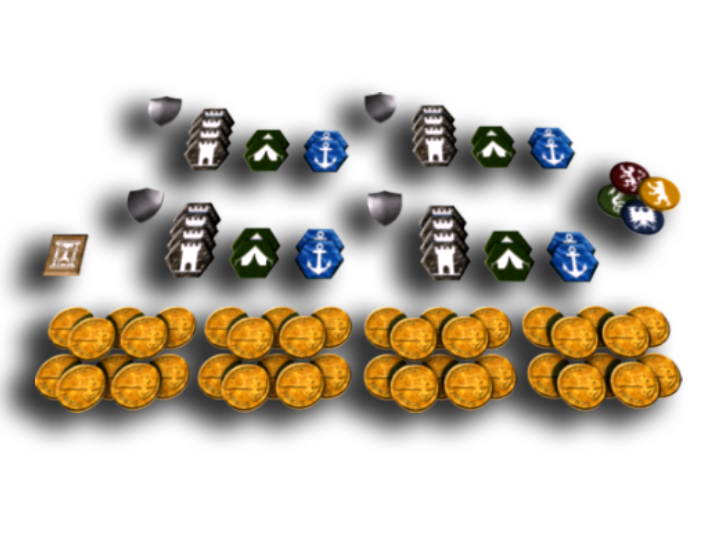 You may choose to enlarge your army, upgrade your skills or build more with your gold.